A gift that couldn’t be more perfectly named! With bergamot and ylang ylang essential oils, this beautifully aromatic skin-nourishing bath oil encourages a sense of wellbeing. Suitable for use during pregnancy too. With an impressive burn time of 45 hours, these candles (made by a traditional candle-maker in Cornwall) are made of 100% organic blend of beeswax and botanical wax, which means no petroleum-based paraffin wax and no sooty smoke and harmful toxins. Choose from Calming, Balancing and Uplifting. Matching diffusers and room sprays are available too. This multi-award winning balm with many uses is the perfect treat for all busy mums. The product creates glowing and radiant skin and really is a one pot wonder, seeing as it can be used as a cleanser, an exfoliator, a nourishing mask, an overnight treatment, a lip balm, a cheek highlighter, an eyebrow tamer – the list is endless! Even suitable for sensitive skins! 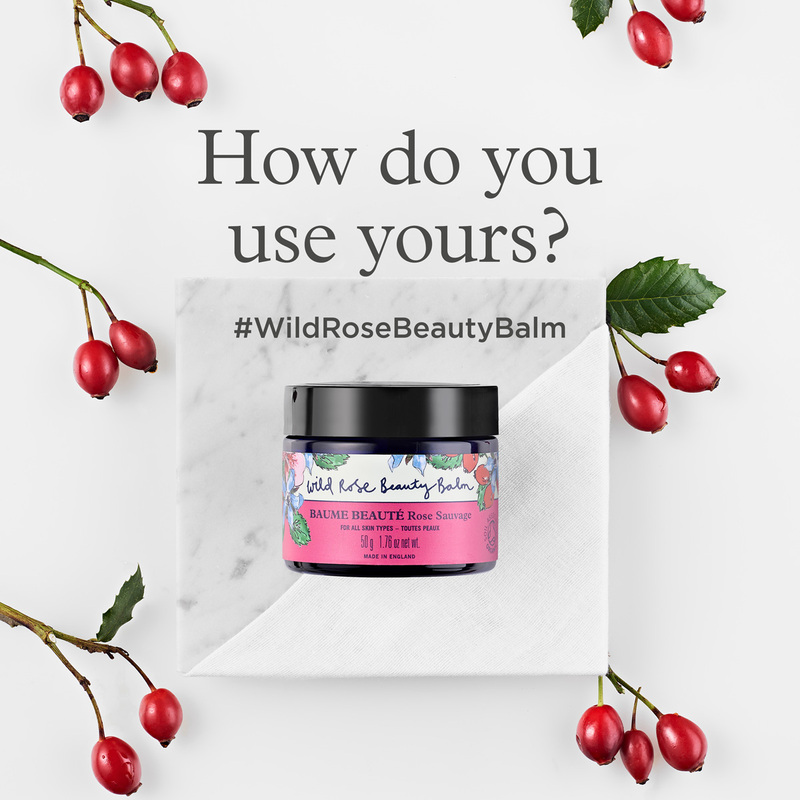 If you’re considering the Wild Rose Beauty Balm, then for another £15 you can get this fantastic gift set – containing the full size WRBB as well as a Wild Rose Body Elixir, 50ml, Wild Rose Hand Cream, 50ml and an Organic Muslin Face Cloth all present in a beautiful gift box. This box is excellent value for money! Every mum deserves a pamper and a face mask will give her skin a break and the treat it deserves. 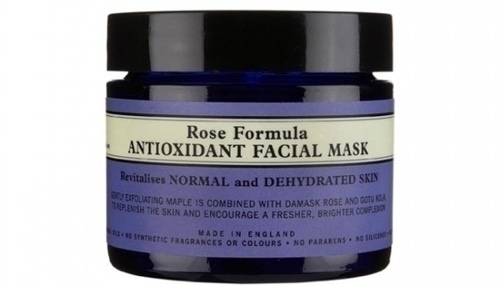 My favourite is the gentle Rose antioxidant face mask, pictured, as it gives a brighter and fresher complexion. Being a tired mummy myself, I specifically love using this weekly. 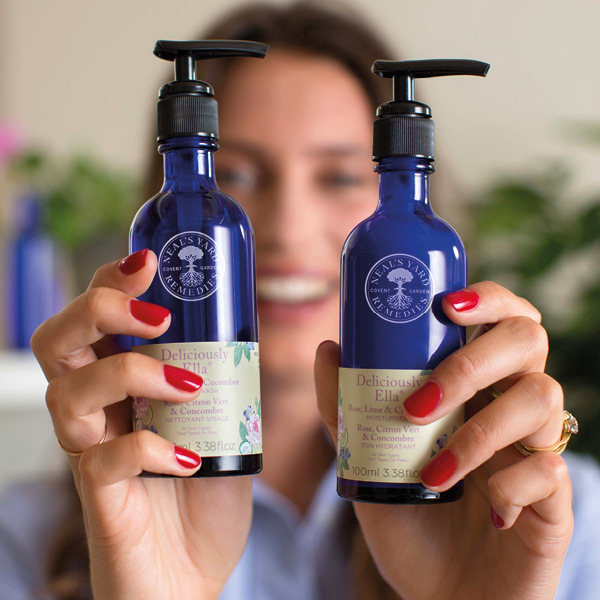 An introduction to Neal’s Yard Remedies award winning natural and organic skincare favourites – containing travel size versions of Wild Rose Beauty Balm, White Tea Facial Mist, Beauty Sleep Concentrate and and the White Tea Facial Mask. Presented in a lovely (& organic!) cotton pouch. 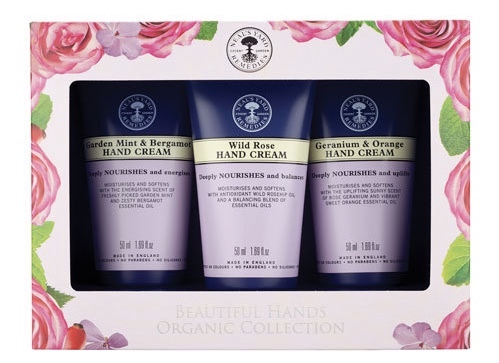 Leave hands velvety soft and beautifully fragrant with this trio of handbag size hand creams. Including radiant Wild Rose, energising Geranium & Orange and revitalising Garden Mint & Bergamot – choose depending on your mood! 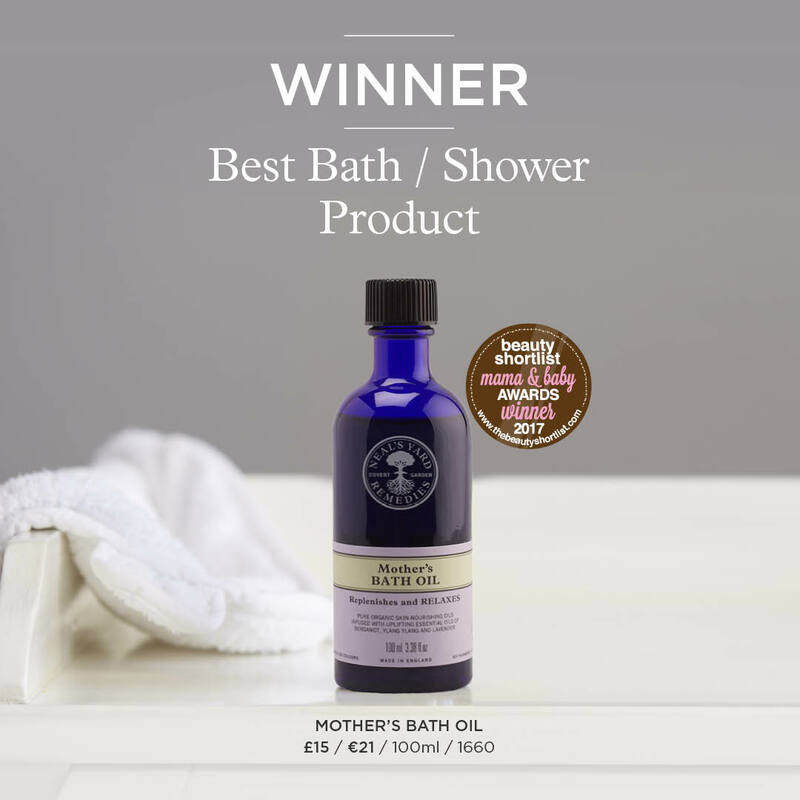 Natural essential oils provide the fragrance – NYR never use synthetic fragrance! The family friendly Bee Lovely range is super nourishing, even on sensitive and eczema prone skins. This gift contains hand cream, bath and shower gel, body lotion and the new All Over Balm which can be used as a nourishing treatment balm anywhere on the body. 3% of sales from NYR’s Bee Lovely range goes to charities that help protect this humble, vital insect. A perfect gift for a Mother-to-be or a new mummy. 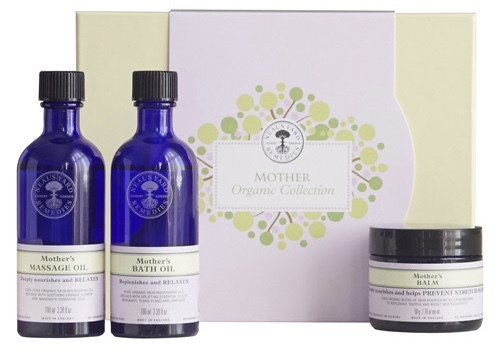 A gentle selection of skin-nourishing, organic products, from an elasticity-boosting balm to a relaxing bath oil, to help expectant mothers during and after pregnancy. Presented in a beautiful gift box. Choose from a selection of palm oil-free soaps, including a trio of this Wild Rose soap (£19 for three, why not break down in to 3 smaller gifts?!) which contains organic coconut oil, enriched with nourishing organic shea butter and organic, wild rosehip oil to leave your skin soft. Gently nourishing, and softly aromatic. 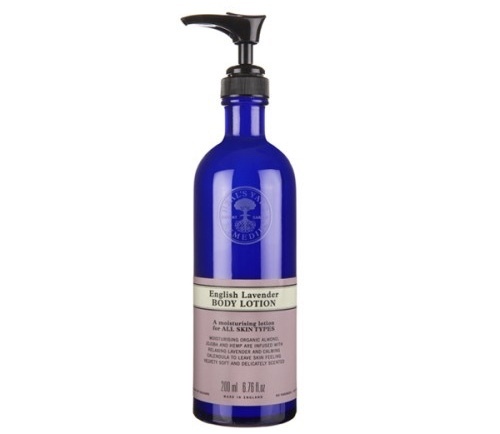 This lightweight lotion uses lavender grown in Hampshire and is a blend of skin-nourishing organic almond, jojoba and hemp, infused with soothing calendula, to leave skin feeling velvety soft and delicately scented. This collection contains all four of Deliciously Ella’s range of products – a face wash, face moisturiser, shower gel and body lotion. Focusing on feeling refreshing after use – key ingredients include cucumber, lime, rose, avocado oil and blueberries. This gift also includes Deliciously Ella’s best selling “Every Day” cook book. A luxurious bedtime body cream to aid with a good night’s sleep. Wake up to deeply nourished and silky smooth skin, with an aroma-therapeutic blend of essential oils to calm the mind and enhance a restful sleep. Skin is left smelling dreamy and beautifully pampered. Every busy mum deserves the best night’s sleep. 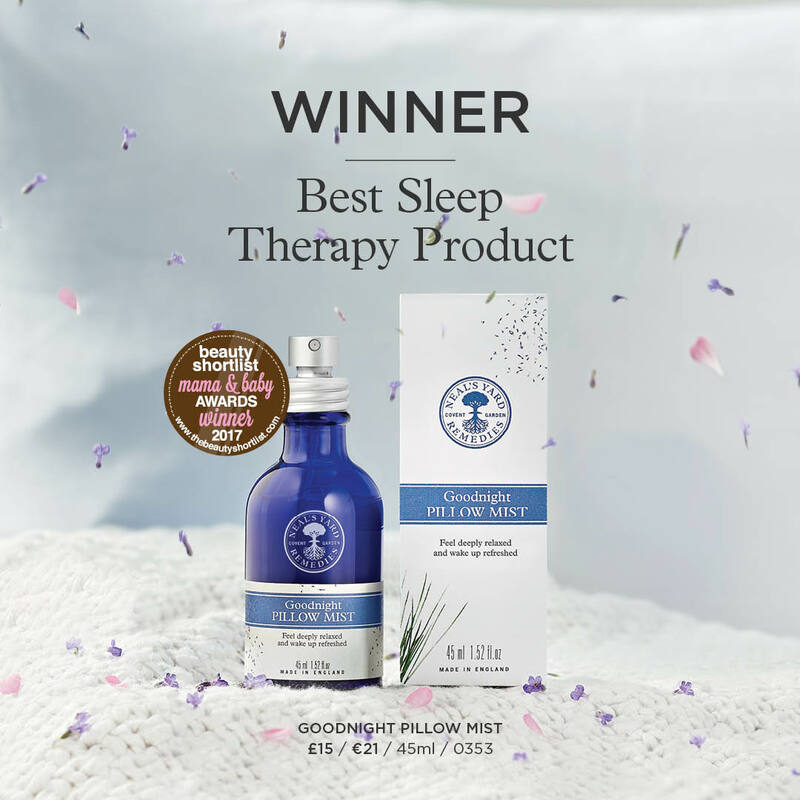 This award-winning pillow mist contains lavender which will help to soothe, relax and provide a calmer sleep. Proven to help you fall asleep quicker too, this gentle mist needs just one spritz above a pillow before bed – and so this product will last for ages! So many NYR products are derived from herbs, so why not learn how to grow and use herbs to care for you and your family. The book will show you how to use herbs for various aliments and concerns, with 150 step-by-step recipes to make and use at home and a directory of over 100 herbs and their properties. A ceramic plug-in burner that is a safe, simple and effective vaporiser for essential oils. It allows you to blend essential oils for pleasure, therapeutic use or as a room freshener. 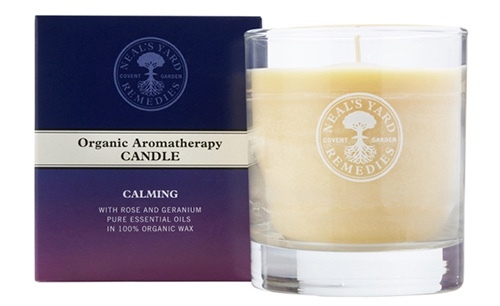 Choose from a wide range of Neal’s Yard Remedies essential oils to burn in this diffuser – whether that be for fragrance or for the beneficial properties their 100% essential oils provide. I hope these have given you some inspiration and variety to choose the perfect gift this Mother’s Day. If you have any questions or comments please leave them below. 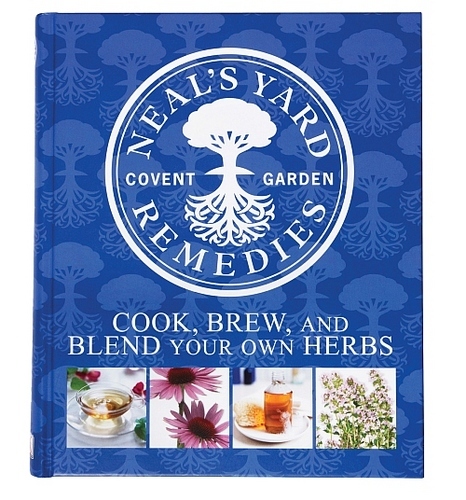 What are your favourite products from Neal’s Yard Remedies? Disclaimer. This is not a sponsored post, however I will earn a % on any products sold through the links enclosed in this blog post.